New Delhi: The French government and Dassault Aviation have denied their involvement in the choice of Indian industrial partners in the multi-million dollar Rafale jet deal.The statement by the French government issued here late Friday comes after former President Francois Hollande's reported claim that the Indian government suggested a particular private firm for Rafale offset contract. Hollande was quoted in an article by a French website as claiming that the Indian government had asked the French government to nominate Reliance Defence as its India partner in the deal. "We did not have a say in this," Hollande was quoted by the website as saying. "The Indian government proposed this service group and Dassault negotiated with Ambani." In response to the claim, the Friday night statement said: "The French government is in no manner involved in the choice of Indian industrial partners who have been, are being or will be selected by French companies. "In accordance with India's acquisition procedure, French companies have the full freedom to choose their Indian partner companies that they consider to be the most relevant, then present for the Indian government's approval the offset projects that they wish to execute in India with these local partners so as to fulfil their obligations in this regard." The Paris-based company said that the partnership between the two giants led to the creation of the "Dassault Reliance Aerospace Ltd (DRAL) joint-venture in February 2017. 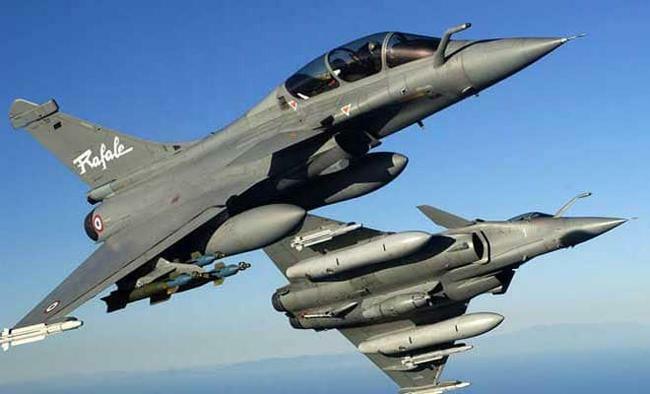 "Dassault aviation is very proud that the Indian authoritie have selected the Rafale fighter," it added.The deal to purchase 36 Rafale fighter jets from France was announced by Prime Minister Narendra Modi in 2015 and signed in 2016.